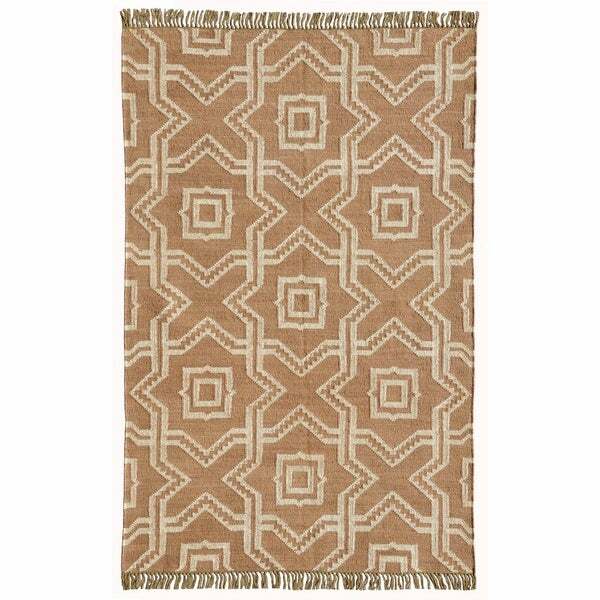 Enjoy the geometric pattern of this high-quality jute and wool rug. This rug has a low pile height and is ideal for tossing down in your family room or eat-in kitchen. Couristan Nature's Elements Desert Sand Dune/Ivory Area Rug - 7'10" x 10'10"